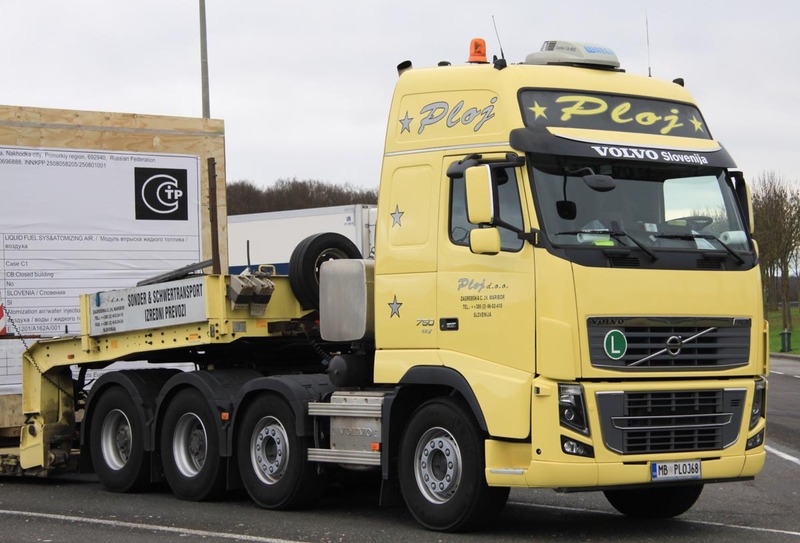 A sharp Volvo FH16 750 of Ploj from Maribor (SI) stood parked with a wide load along the german Autobahn. These kind of transports are only allowed to drive between 10:00 PM till 06:00 AM. 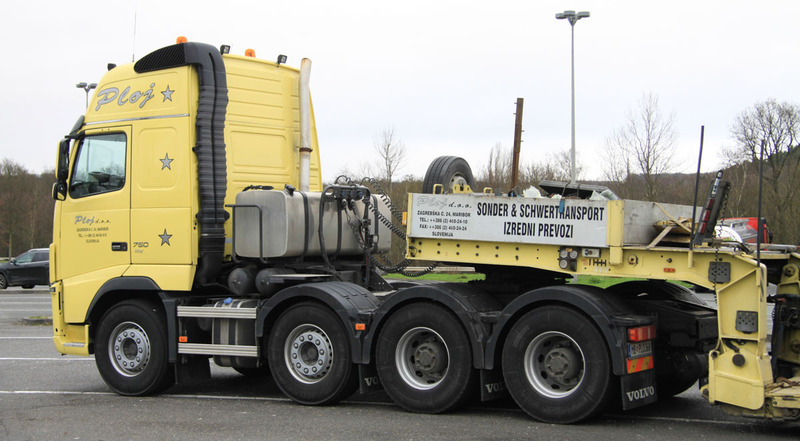 The truck is a nice Volvo FH16 from the second generation. The D16G engine with a 16.1 liter stroke supplies 750 hp and is the strongest engine available for the FH16 untill today. Behind the cabin is a large diesel tank and a hydraulic oil tank made. 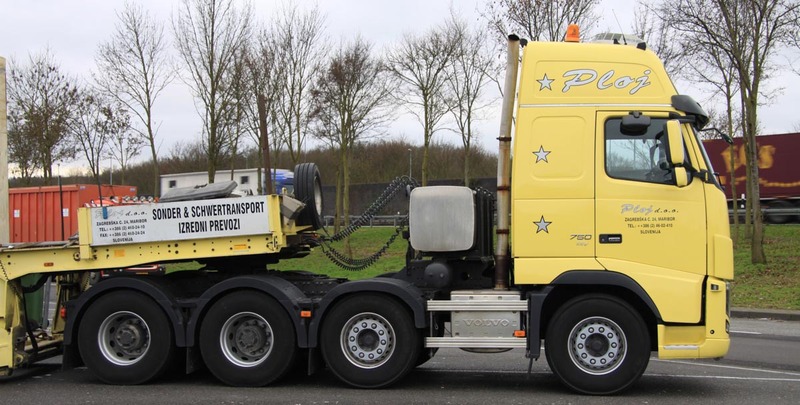 It is the heaviest truck in use by Ploj and is used with various trailers. 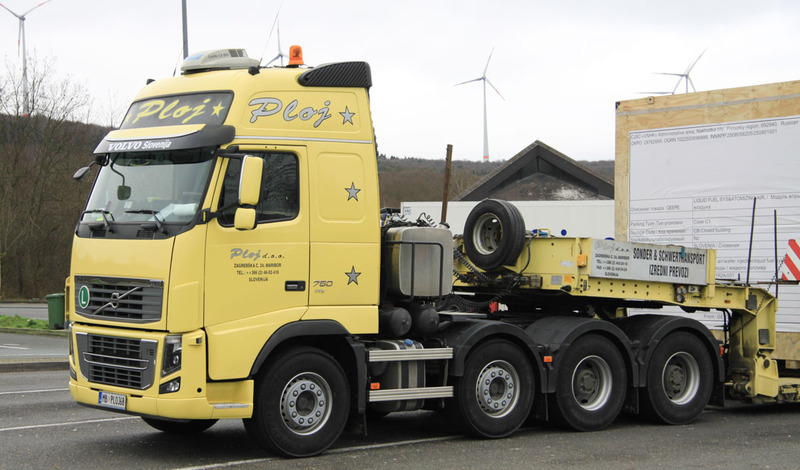 Ploj's fleet exists mainly out of Volvo trucks. On this side is the Adblue tank made. Between the tanks are some airbarrels made. 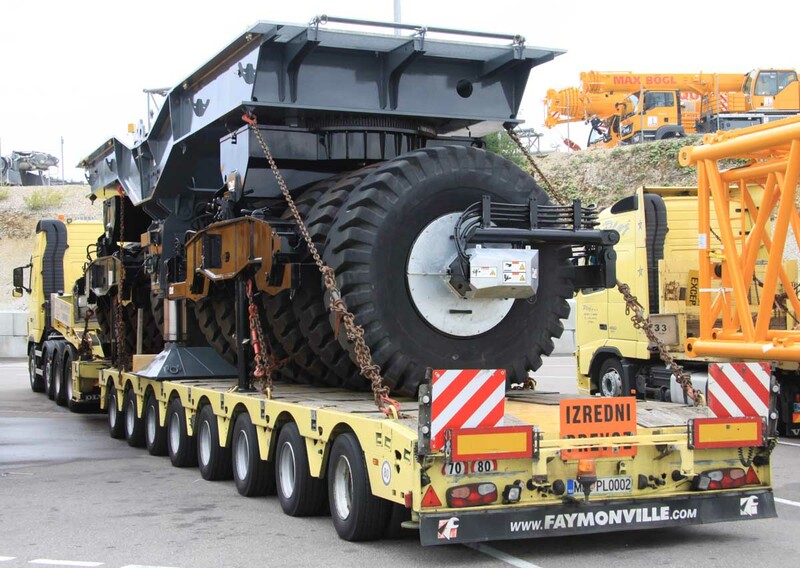 Pulled is a 3 axle Faymonville MegaMAX lowloader. 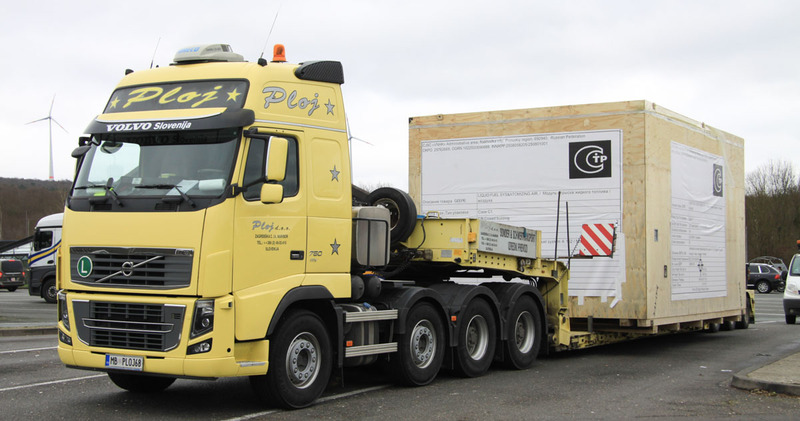 The load is an oversized box with a 4.25 meter breadth and a 30 tonne weight. The combination was on the move to an harbour, the box will then be shipped to Russia. 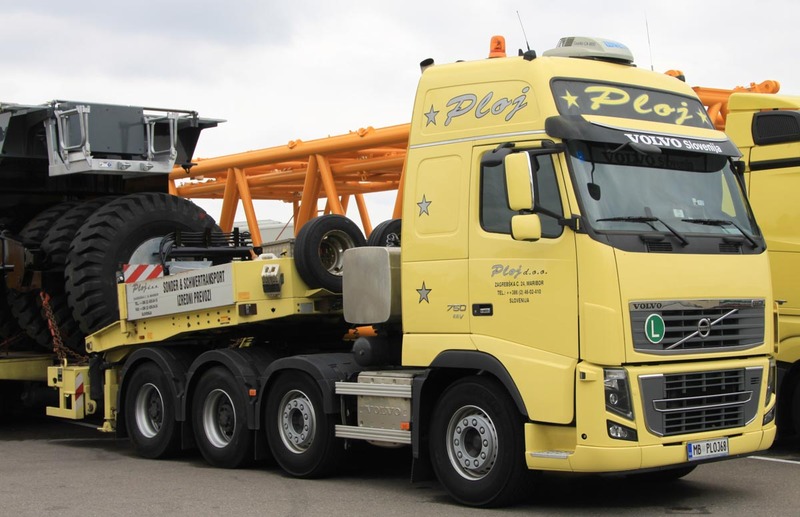 The Volvo FH16 750 of Ploj stood together with some colleagues on the parking of Liebherr in Ehingen (DE). 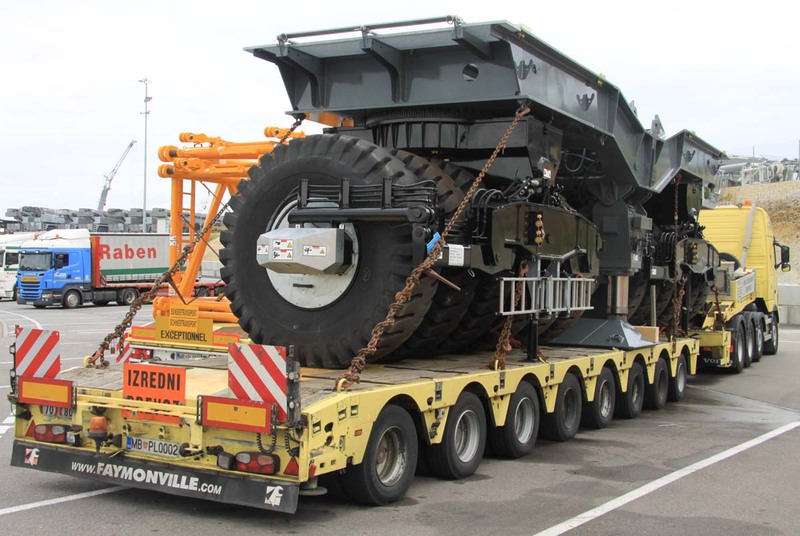 Attached is an 8 axle Faymonville MultiMAX lowloader. 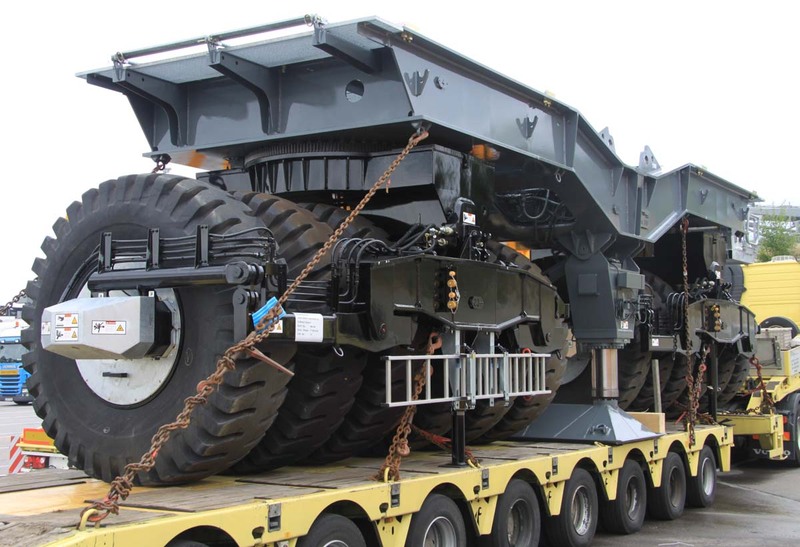 The imposing load is the wheeled counterweight wagon of a Liebherr LR 11000 that was on the move to the Republic of Korea. 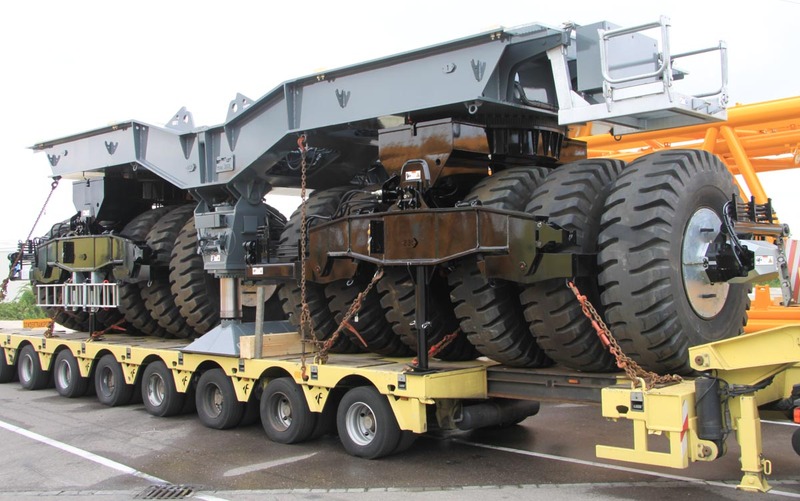 The counterweight wagon has a 77 tonne weight.